Civil Air Patrol (CAP), the official auxiliary of the United States Air Force, is a humanitarian and educational nonprofit organization which serves thousands of communities across America through three Congressionally charted missions: Aerospace Education, Cadet Programs, and Emergency Services. Membership totals approximately 60,000 volunteers who share the love of aviation and community service. Civil Air Patrol, the official U. S. Air Force Auxiliary, is a civilian, volunteer, nonprofit, service organization with almost 62,000 members nationwide. CAP corporation and its members own and operate more that 5,000 light aircraft, the world’s largest civilian fleet, and volunteers fly about 140,000 hours each year on CAP missions. The National Headquarters is located at Maxwell AFB, Alabama. The Cadet Program is open to youth ages 12-18 years of age. You don’t have to be a pilot or need military experience to join Civil Air Patrol. Civil Air Patrol cadets are also not obligated to join any branch of the military service. The Senior members (adult leaders) have varied backgrounds – educators, business professionals, retirees, students – some have military experience, others have none. The Owatonna Composite Squadron is a terrific place for you and your family to learn, grow and help serve our community, state and nation! The aerospace education programs promote an understanding and appreciation for the importance of aviation and space exploration to our society and national security. As a member of the Civil Air Patrol, cadets are eligible to receive 5 free glider orientation flights and 5 free power-engine flights from certified FAA flight instructors. 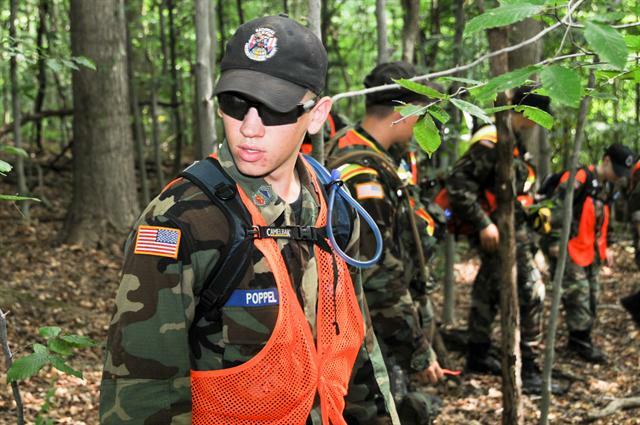 Through Emergency Services training, Civil Air Patrol members learn practical techniques for Search And Rescue, Disaster Relief, Counterdrug and Homeland Security. While cadets qualify to assist in federal, state and local agency missions, cadets will not be exposed to any conditions which jeopardize their health. Each phase of the cadet program emphasizes five areas of achievement: leadership laboratory, aerospace education, physical fitness, moral leadership, and squadron activities. Some of these activities include model airplane building, drill teams, model rocketry, obstacle course, flight, and survival training.